Robert Aske was convinced that Archbishop Lee supported the Pilgrimage of Grace and he was allowed to go free. However, on 4th December 1536 he preached a sermon in Pontefract Priory advocating passive obedience. (22) By March 1537, Henry VIII and Thomas Cromwell had gained control of the situation and the rebel leaders were arrested. That summer over 200 were executed. This included This included Robert Aske, Thomas Darcy, Francis Bigod, Robert Constable, John Bulmer, Margaret Cheyney and William Thirsk. Life for Archbishop Lee became easier after the bill of the Six Articles was presented by Thomas Howard, the Duke of Norfolk in Parliament in May 1539. It was soon clear that it had the support of Henry VIII. Although the word "transubstantiation" was not used, the real presence of Christ's very body and blood in the bread and wine was endorsed. So also was the idea of purgatory. The six articles presented a serious problem for religious reformers. Bishop Hugh Latimer and Bishop Nicholas Shaxton both spoke against the Six Articles in the House of Lords. Latimer had argued against transubstantiation and purgatory for many years. Latimer now faced a choice between obeying the king as supreme head of the church and standing by the doctrine he had had a key role in developing and promoting for the past decade. 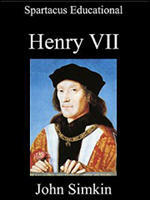 (25) Thomas Cromwell was unable to come to their aid and in July they were both forced to resign their bishoprics. For a time it was thought that Henry would order their execution as heretics. He eventually decided against this measure and instead they were ordered to retire from preaching. Archbishop Edward Lee died, aged sixty-two, on 13th September 1544. The outbreak of the Pilgrimage of Grace in Beverley early in October 1536 made the archbishop's relationship with the central government even more precarious. Fearing retaliation from his aggrieved tenants Lee fled from Cawood to Pontefract where he became a prisoner of the rebels when Lord Darcy surrendered the castle on 20 October. He and the other gentlemen there then took the pilgrims' oath. Not without some justification Aske and his followers assumed that the archbishop sympathized with their aims for the restoration of the church's liberties, but Lee disappointed them by preaching a sermon advocating passive obedience in Pontefract Priory on 4 December. In January 1537, after Norfolk had brought the first insurrection to an end, Lee dared to question the wisdom of attempting to collect the clerical tenth while the north remained so volatile. During the second rising he stayed in his palace at Cawood and by so doing contributed to the quietness of the adjoining parts of the East Riding. To defend himself against allegations of treason in the aftermath of the uprising he drew up a very long exculpatory account of his involvement in the pilgrimage. Nearly all the noblemen and gentlemen of Yorkshire had joined the Pilgrimage of Grace in the autumn. Henry could not execute them all. He divided them, somewhat arbitrarily, into two groups - those who were to be forgiven and restored to office and favour, and those who were to be executed on framed-up charges of having committed fresh acts of rebellion after the general pardon. Archbishop Lee, Lord Scrope, Lord Latimer, Sir Robert Bowes, Sir Ralph Ellerker and Sir Marmaduke Constable continued to serve as Henry's loyal servants; Darcy, Aske, Sir Robert Constable, and Bigod were to die. So were Sir John Bulmer and his mistress, Margaret Cheyney, who was known as Lady Bulmer but was not lawfully married to him. Henry had given special orders to arrest the Earl of Northumberland's brother, Sir Thomas Percy, though Northumberland, who was dying of sickness, was allowed to spend his last days in freedom in his house in London.